[S8301] SArah Purdy, "re: Maquay Family," e-mail message to Darryl Roger LUNDY (101053), 22 April 2017. Hereinafter cited as "re: Macquay Family." Sir Pryce Pryce-Jones was born on 16 October 1834. He married Eleanor Morris, daughter of Edward Rowley Morris, on 6 April 1859. He died on 11 January 1920 at age 85. Eleanor Morris was the daughter of Edward Rowley Morris. She married Sir Pryce Pryce-Jones on 6 April 1859. She died on 2 November 1914. Edward Rowley Morris lived at Newtown, EnglandG. Lady Mary Diana Montagu-Stuart-Wortley usually went by her middle name of Diana.1 From 30 November 1946, her married name became Pelham-Clinton-Hope. 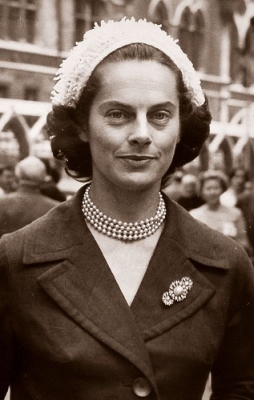 After her marriage, Lady Mary Diana Montagu-Stuart-Wortley was styled as Duchess of Newcastle-under-Lyne on 30 November 1946. Her married name became Gimbernat.2 Her married name became Pelham-Clinton-Hope. 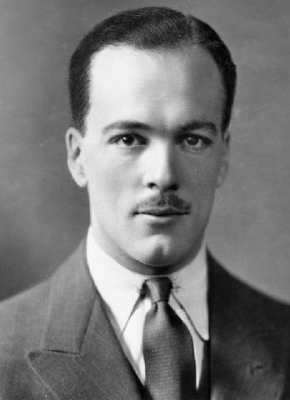 Archibald Ralph Montagu-Stuart-Wortley-Mackenzie, 3rd Earl of Wharncliffe was born on 17 April 1892. He was the son of Francis John Montagu-Stuart-Wortley, 2nd Earl of Wharncliff and Ellen Gallwey. He married Lady Maud Lillian Elfreda Mary Wentworth-Fitzwilliam, daughter of William Charles de Meuron FitzWilliam, 7th Earl Fitzwilliam and Lady Maud Frederica Elizabeth Dundas, on 24 March 1918. He died on 16 May 1953 at age 61. He gained the title of 3rd Earl of Wharncliffe.